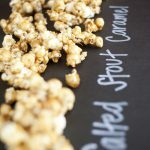 Spoil the Father in your life with a homemade batch of delicious and only slightly addictive salted stout caramel corn. Well, really you’re kind of making it for yourself too – so, spoil yourself with a homemade batch of salted stout caramel corn! 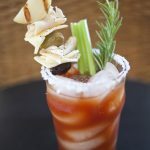 What do you get when you cross a party planning mom, a best friend bakery owner and a printable party girl? Well, I would say one very lucky little birthday girl! 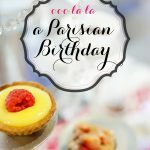 Our friend Olivia recently turned 8, and boy did we plan the Paris Printable Birthday Party of her DREAMS! We LOVE parties with planes, trains and automobiles! 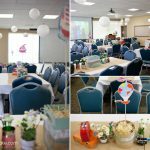 And sail boats, and pick up trucks 🙂 We’ve rounded up 4 of the cutest transportation birthday party ideas for your next event. 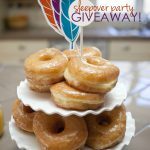 We are giving away our Pillow Fight Sleepover printable party plus more goodies to throw your own party. En2ter the sleepover party giveaway now! 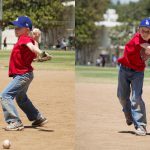 baseball birthday party: Jack is 9! I’m still in MAJOR shock that my little boy turned nine this month. Seems like yesterday he was eight? This is a kid that just LOVES baseball, so of course, I had to put together a baseball birthday party! 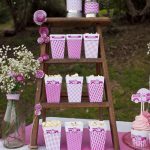 beach photo booth props: new! Ah, the beach. Like a vacation from the pages of a magazine. Except for the lack of parking, the sunburn and the sand in every crevice! 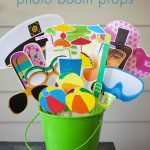 We have a solution for those who forgot their sunscreen…printable BEACH photo booth props! With Teacher appreciation week coming up, and SO many teachers that you, well, appreciate, we thought we would give you a hand. 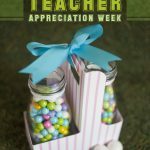 This adorable printable drink carrier, is the PERFECT way to present a diy teacher appreciation gift.